As a blonde blue is one of my favourite colours to wear, especially cobalt blue since it came on the scene. 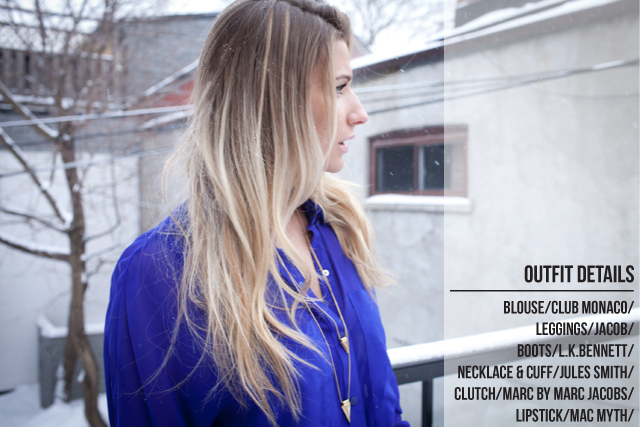 This sheer blouse from Club Monaco, that I own in a few other colours, is a staple to my winter wardrobe. Blouses with enough length to wear over leggings worn with an accessory or two is so simple yet will still look nicely pulled together. And yes it's officially Spring but the weather hasn't shifted enough for us to change up what we wear just yet... unfortantely. 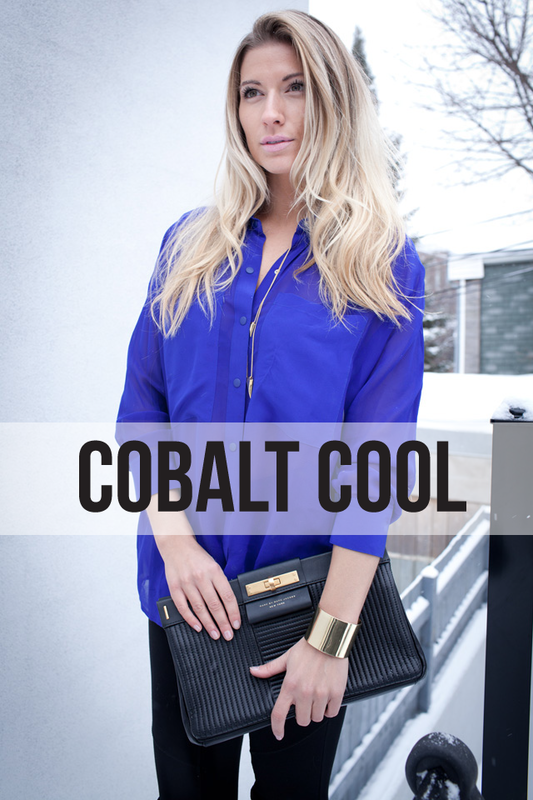 I'm a huge fan of cobalt blue as well! That colour is stunning on you. I love your makeup as well! this is my fave outfit of the day (sorry to you all who know me and see this) you look stunning girl! xO!